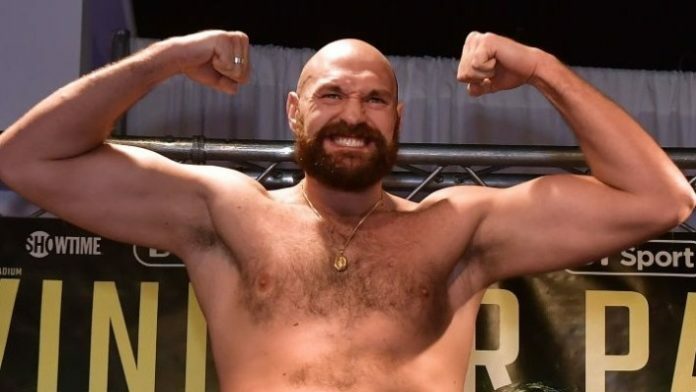 Boxing heavyweight star Tyson Fury had two events canceled in Ireland due to some threatening graffiti. The Irish Times references a report from the Garda Press Office, who says management at Dublin’s Helix – which was one of the scheduled venues – found threatening graffiti such as “repeat of the Regency shooting”. The Regency shooting was an incident in 2016 in which masked men entered the Regency hotel during weigh-ins for an upcoming boxing card. One fighter, David Byrne, a former training partner of Conor McGregor, was killed. Two other bystanders suffered non-fatal injuries during the incident. It was later reported that Bryne was a suspected high-level member of the Kinahan Cartel. The Kinahan Cartel have been accused of distributing illegal drugs throughout the country of Ireland. What do you think about Fury’s events being canceled after some threatening graffiti? Deontay Wilder: If Fury Thinks He Was Robbed, Why Didn’t He Take The Rematch?